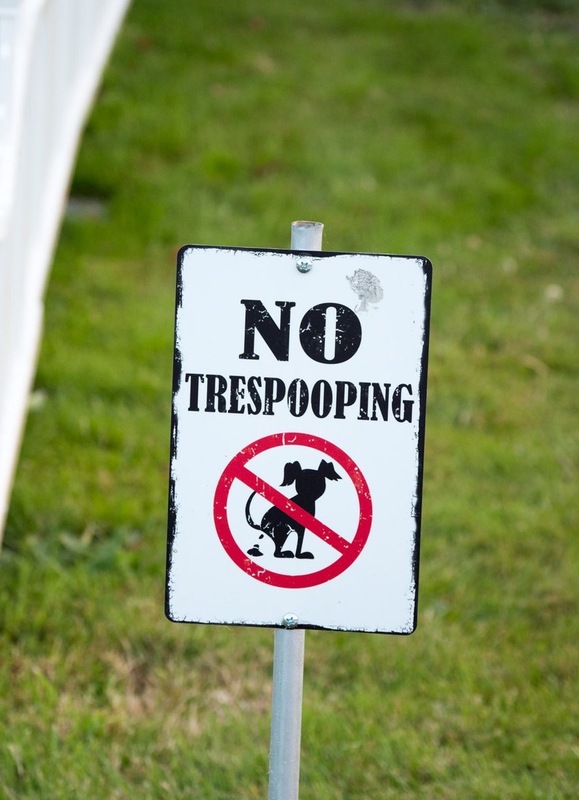 There are times when humor can help solve a problem and it can be a very annoying when people do not pick up after their pets. Thanks to Photographer Scott Bourne for posting this on his twitter feed for all to share! 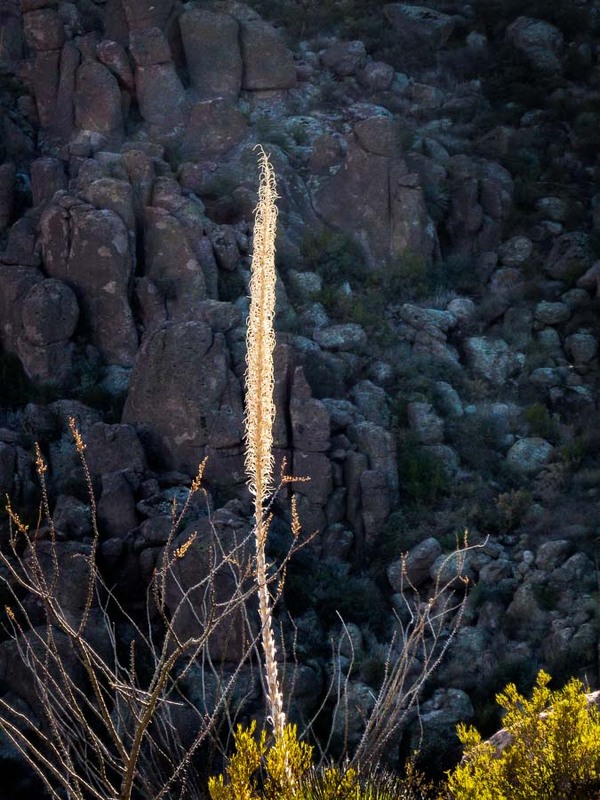 As I pointed out in one of the first posts about the Peralata Trail, there is an abundance of desert flora along the trail as far as the eye can see. There is beauty all around during the spring as cacti and desert trees bloom freely. Once the bloom is over, some of the plants continue to provide aesthetic interest with their dry stalks, etc. I so appreciated this willowy structure highlighted against the dark, shadowy background in the picture above. It was truly striking! The lower group of plants sporting their colors of yellow and orange were supporting cast members. 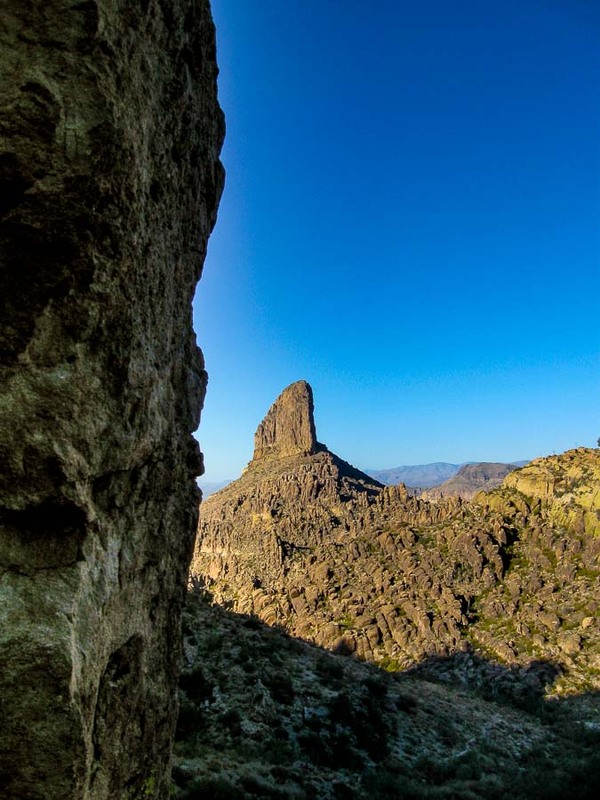 Once we made it to the saddle and took in the view of Weavers Needle, we realized that it was time to head back down the trail. We started the hike later in the day and we were satisfied to have reached the saddle. Before we started our journey back to the trailhead, I couldn’t resist taking one last picture of the needle and I am glad I did! The image above was captured during a recent hiking vacation we took at Kings Canyon National Park, California. We were on top of the Buena Vista Peak. The day was cloudy and gray with very little sun. When we plan a hiking vacation and there is rain, we hike anyway because that was the plan. Unless there is a deluge or hazardous conditions, we hike. While we were at one of the highest points of the Buena Vista Trail overlook, the sun began to peak through. 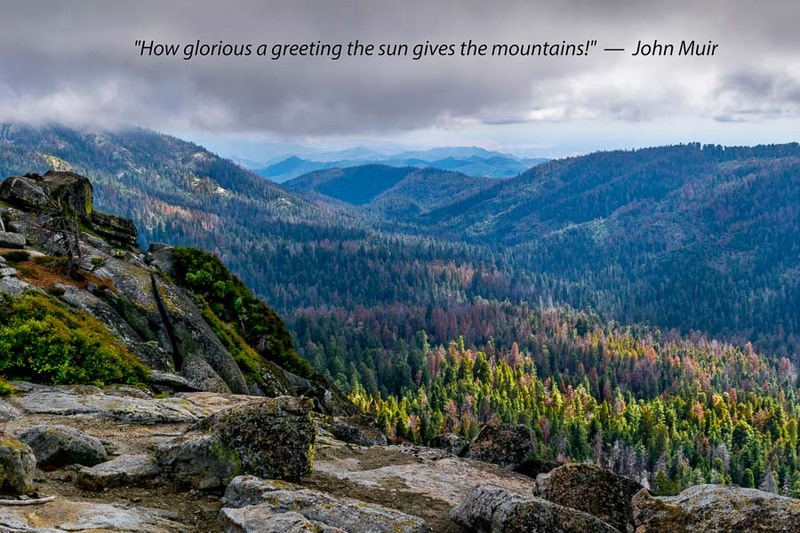 This reminded me of the John Muir quote accompanying the photograph. NOTE – On our hiking vacations, the emphasis is on hiking and not necessarily photography. I do try to capture the best photographs possible, but we normally don’t capture sunrises or sunsets purposefully. We generally take nature as we find it and make the best of it. 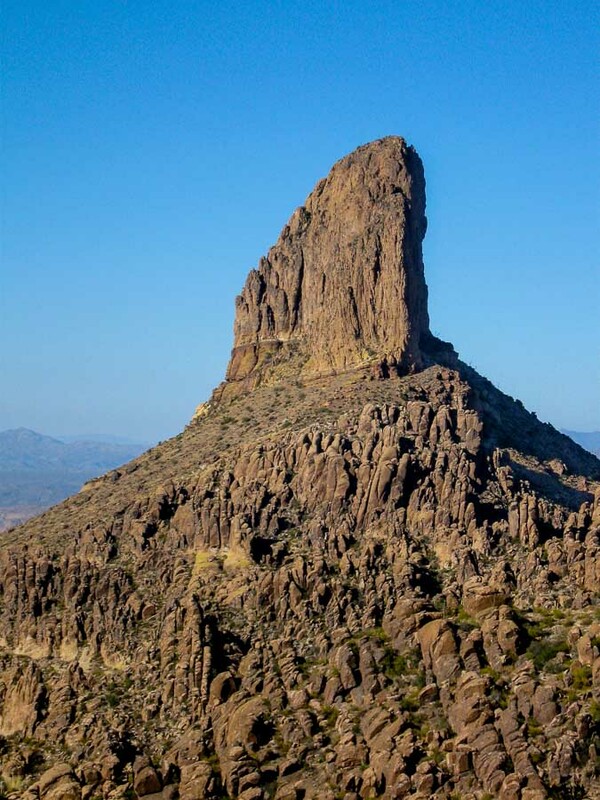 A closer view of Weavers Needle from the Fremont Saddle on the Peralta Trail. Read more about this particular formation in the post of June 27, 2017 linked at the bottom of this entry.